Some kids think school is boring. Wrong. They’re just at the wrong school! 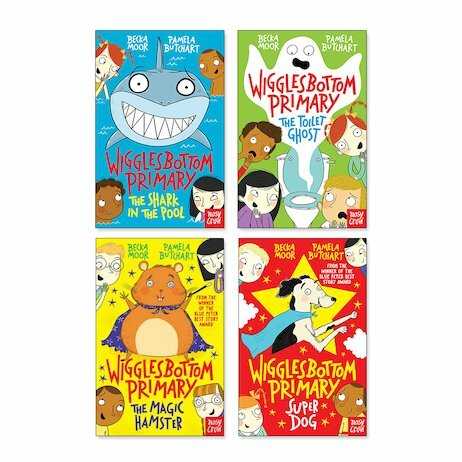 They need to go to Wigglesbottom Primary. It’s NEVER boring (though it can be super-scary). And it’s loads of FUN! There’s a shark in the pool. There are dinosaur bones in the playground. There’s even a ghost in the boys’ toilet. Yikes! How will the kids of Class 2F deal with a living robot? Will they ever find out what the school mashed potato is actually made of? (Yuck.) And can a smelly shoe really predict the future? Laugh lots finding out!